The small town of Scandia, Minnesota sent President Obama a message during a parade. 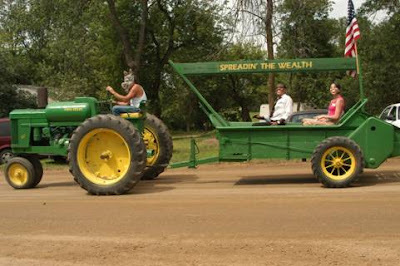 A man wearing a donkey head is on a John Deere tractor pulling a manure spreader labeled with "spreadin' the wealth." More pictures at The Right Perspective. They are correct about what Obama is really spreading.